Progressive youth, civic, labour and faith based formations joins forces for Youth Day cultural and hiphop cypha which includes rap, poetry and dance. We reject the notion that the youth of today is free. We cannot be free when millions of people in this country are starving and unemployed; or when violence against women and children continues unabated. We cannot be free until there is free decolonised and decommodified education and we cannot be free until we have redistributed the land. Amandla! Magazine Issue 46 did a feature ‘40 years since 1976’ to commemorate June 16, 1976 in Soweto. Amandla! was looking to draw lessons from the student rebellion of ‘76 within the context that we are organising in today, with the rise of the South African student movement in 2015 in mind. Is our 1976 moment still to come? 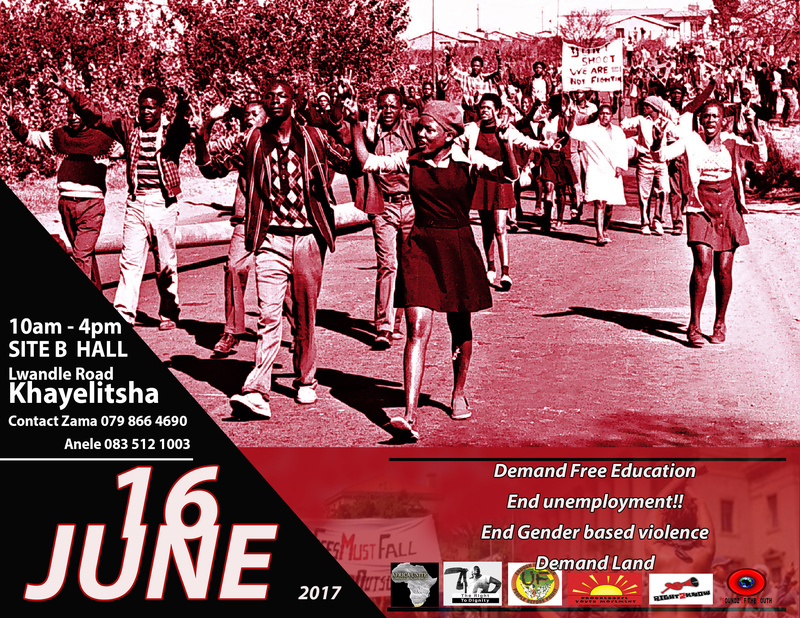 A 3-miunute piece on the significance of June 16, The Soweto Uprising featuring archival footage and interviews with an Aunt of one of our Global Girl who lost a brother in the march, and Dr. Peter Magubane, the award-winning photo-journalist who covered the event.